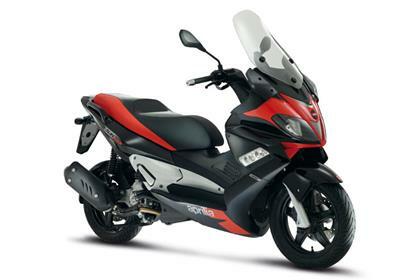 The SR Max 125 is a nice little city scooter, with bags of weather protection and comfort for longer journeys. Struggles at speeds above 40mph, but at town speeds it's perfectly adequate. Handling is spot on. 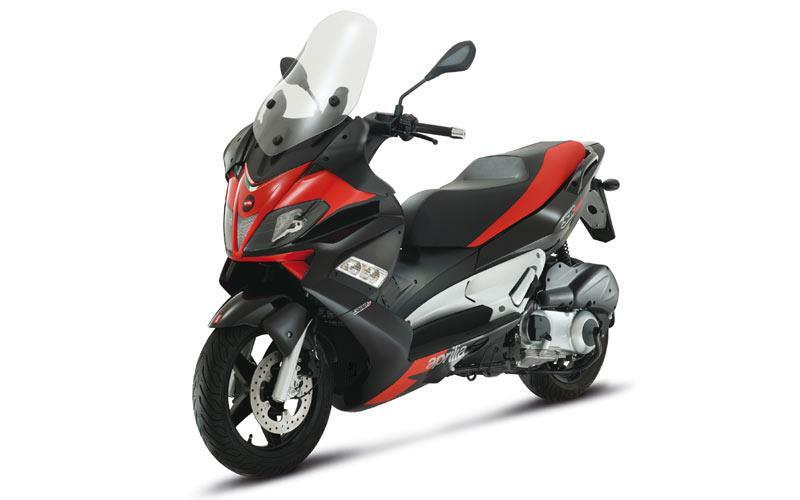 If you want an all year round scoot with good wether protection the SR Max 125 is a great choice. It feels surprisingly planted for a scooter. 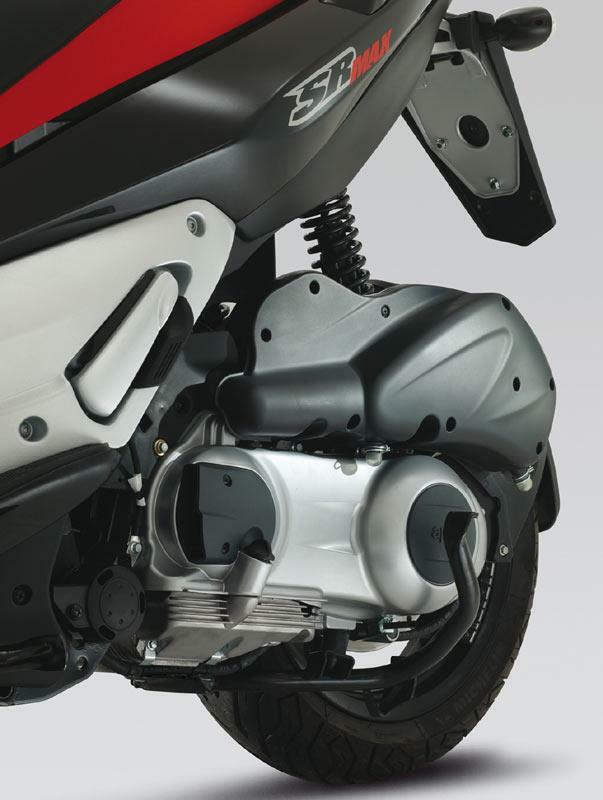 Most 125cc scooters are a lot lighter and so feel a little skittish over bumps, but the extra bulk of the SR helps to make it feel a little more like a proper motorcycle. Despite the extra bulk the steering still feels light due to the bulk of the weight being at the rear of the bike. The seat is huge and incredibly comfy. The four-valve 124cc engine struggles a little with the extra bulk provided by the large fairing, but it's farily brisk up to around 30mph. Above 30mph it struggles a little, but it's adequate around town. It's bigger, 300cc brother is much quicker if you want something with a bit more poke. 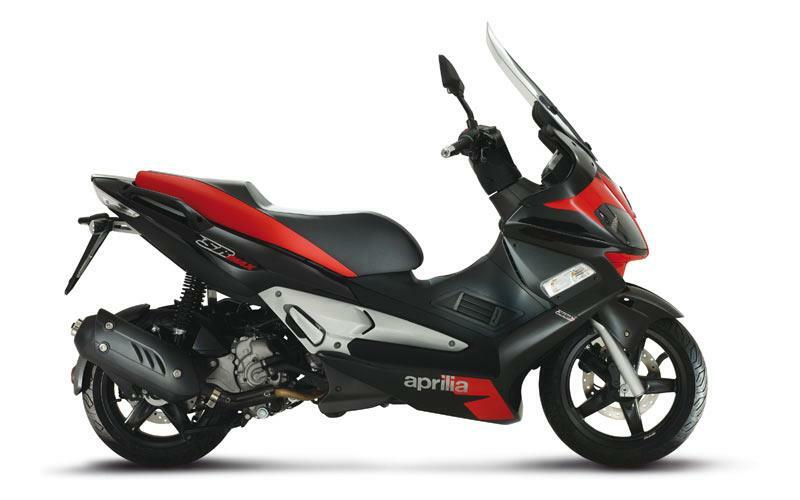 Aprilia is owned by the Piaggio Group, who also own Vespa and Gilera among others, so they know how to build a scooter. The SR125 feels well put together, but could take a bit of a battering during British winters. 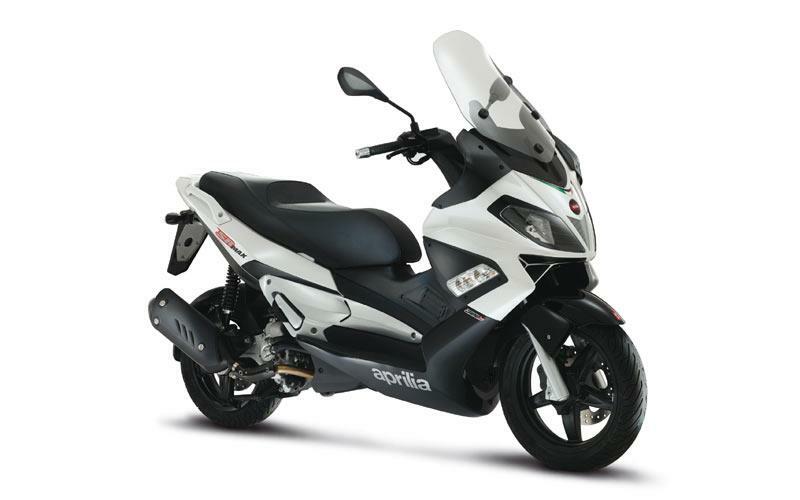 If scooters are your bag then the Aprilia is a genuine contender. It's incredibly comfy, easy to use and has excellent fuel consumption as you'd expect. 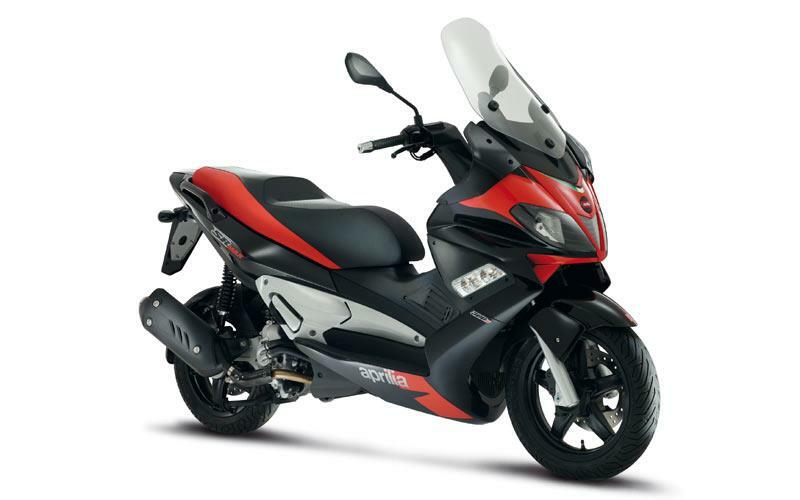 You get a lot of scooter for your money, but if you're on a full licence the 300 version is only £300 more. The usual fare. A large udnerseat compartment which comfortably takes a full face helmet, even if it did takes us a fair few minutes to figure out how to open the bloody thing. There's no shopping bag hook due to there being no space in the footwell. The windscreen is simply superb. It's not needed to keep winds off you at high speeds, since it never really gets there, but it does an amazing job at keeping the weather off you. You can easily wear leathers in rain and not get wet. Clocks are big and clear, even though they're in kmh. Pillion pegs fold away neatly. The leg vents don't seem to do anything. 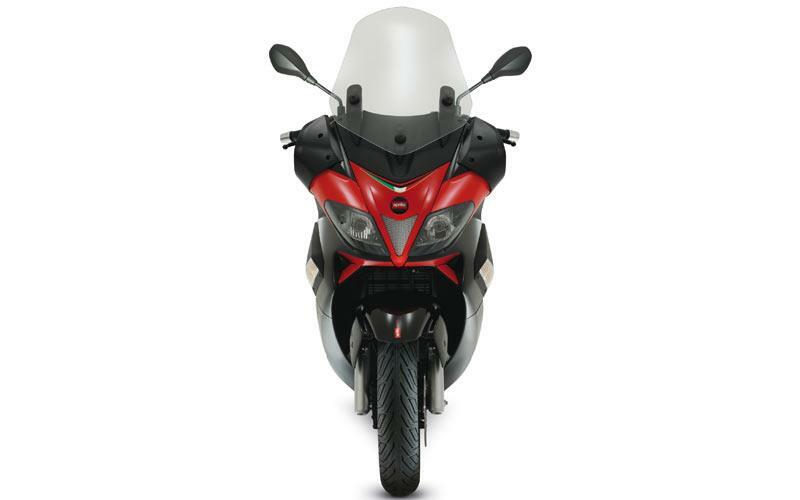 1 owner has reviewed their APRILIA SR MAX 125 (2011-2013) and rated it in a number of areas. Read what they have to say and what they like and dislike about the bike below. I think it's more of a cruiser than a city scooter. Feels sluggish so it's not a rocket when you take of from a traffic light that is due to the massive 180kg combined my own weight of 90kg. But make no mistake, once you get it moving it keeps going. 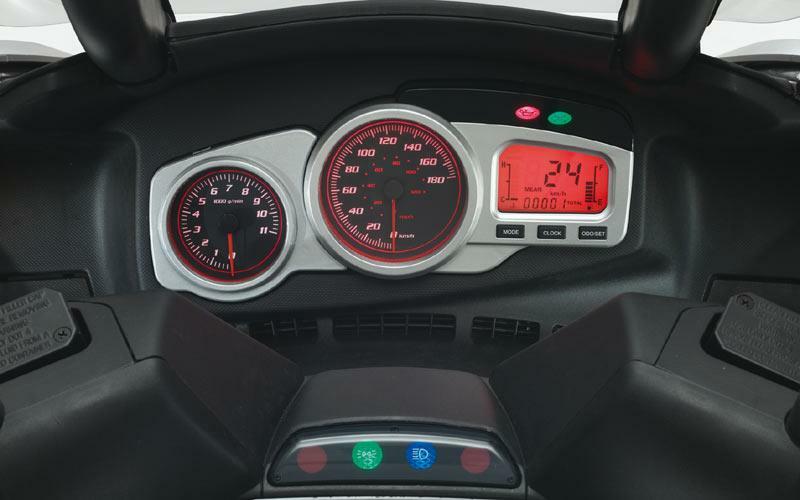 Disagree with MCN about "struggles over 40mph" and have to say that it actually keeps going and going strong up to 80mph (keep in mind that is with a 6'2 and 90kg rider on it). It looks excellent and the handle bars feel like a big sport bike. I was able to keep up with big speed bikes when it came to cornering, but obviously left well behind on straight. In 4000 miles (from 3000 to 7000) had to change the belt once. Other than that, just oil change, sparkplug and of course, top up with fuel. So far no other expenses.